Sarah St. John has a secret. One she has carried for many years. She left her fiancé at the altar because of it. She didn't even tell her father about it....only her nana knew about it, at the time. But now, her niece has been kidnapped on the eve of HER wedding and it might have something to do with Sarah's secret. Her ex-fiancé, Hunter, is in law enforcement and has been assigned to the case. 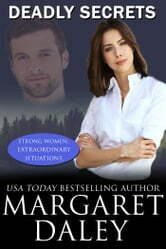 Sarah has to work with him because of her secret - she knows better than anyone else how to catch the perpetrator. Plus she works for the FBI now. Her brother-in-law is also the chief of police so he's very involved with it and it's his daughter that was kidnapped. While working together, Sarah's secret comes out and Hunter finally learns the reasons why Sarah left him at the altar. He finally understands why she did it. 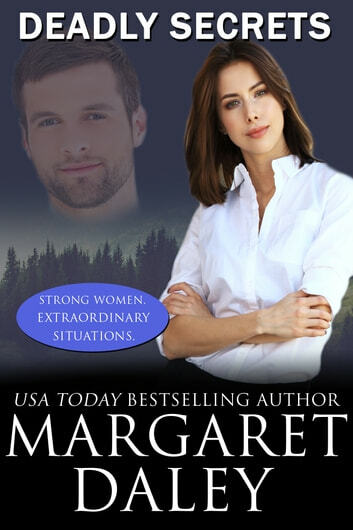 As they race toward the kidnapper's deadline - will Sarah's niece be killed by this serial killer/kidnapper or will Sarah & Hunter be able to save her? This was a fantastic book! It had lots of tense action but also a lot of emotion. I love Sarah and Hunter. They had to go through a lot of hurt feelings and trying to piece together a relationship again. Sarah had to also learn forgiveness with her father and that was a powerful lesson in this book. I would highly recommend reading this. You wont regret it!